Having car problems is always an annoyance, especially when it happens unexpectedly and you have to be somewhere fast. Often we take this convenience for granted and it’s not until something goes wrong, such as a vehicle breakdown, that we realize just how invaluable our transport is. We usually don’t recognize how useful our personal transportation is until something happens and you are left with either expensive means of transportation such as taxi cabs or time consuming ones, like walking or even public transportation. 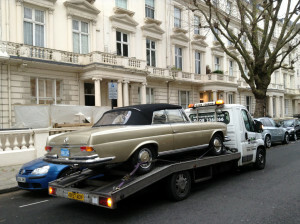 In times like these an affordable car recovery service can be a great asset. No matter what time of year day or night* we will make sure we respond to your call and recover your car quicker than anyone else. Our prices are affordable and our goal is to make your car problems disappear as fast as possible. 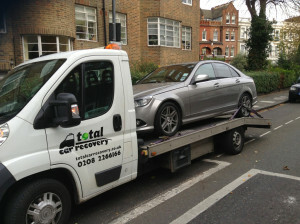 With our super speedy service and convenient locations in London and around the M25 we’ll ensure your car is checked and recovered as fast as possible to get you back on the road in the shortest amount of time. *There may be a reasonable surcharge for out of hour’s emergency services. The vehicle recovery team we will dispatch to your location will do everything they can to fix your car at the side of the road at first and if the problem cannot be fixed immediately we will provide you with a hire car offer and take your vehicle at a garage of your choosing or at our garage where it will be handled by a team of professional mechanics and engineers. Alternative services for cars beyond repair. You may have known this was going to happen, but ignored all the warning signs in a bid to save money on your vehicle. We understand this, but if your car has simply ran out of steam and lost the will to live another day there are other options. 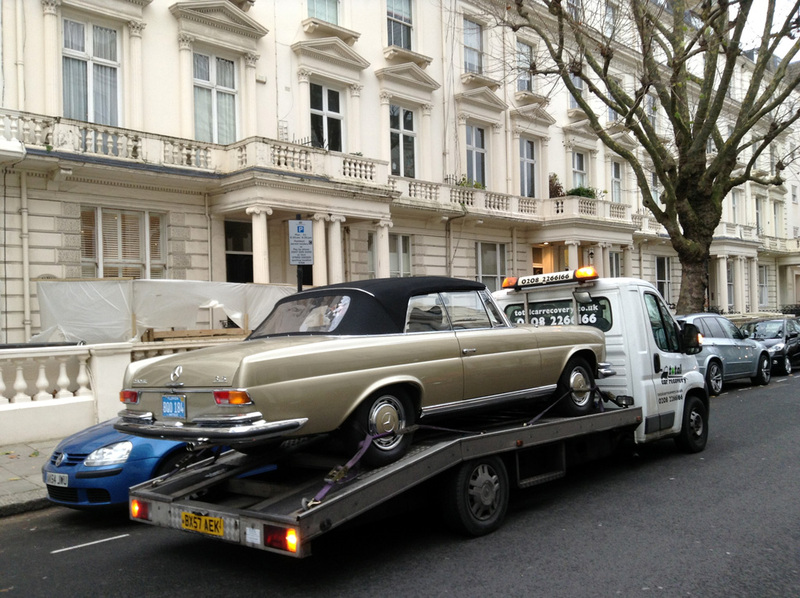 We can have your car salvaged and if something of value can be found you may even some of the money back. If your can is beyond repair and nothing can be salvaged we will gladly take it off your hands for recycling free of charge. We will also provide you with a good offer on a hire car so you can get back on the road safely.